if not, is the gold mickey very shiny??? thanks for your time! do u sell the black chains or mabe u can tell me where to get them? The email sent to you got bounced back. 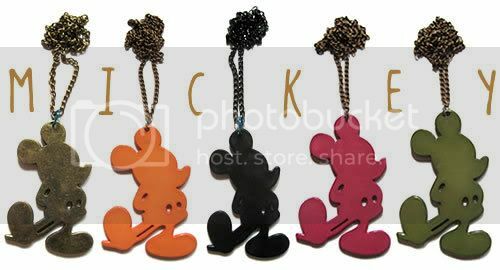 I do not sell the black chains and these mickey mouse necklaces are sourced from overseas. The acrylic mickey & the chain comes together!